Sometimes in the need to solve our health care problems we forget that nature is giving us everything that is needed for health there are natural and free drugs and remedies and on a reach of our hand. Nettle (Urtica dioica) is among the most useful herbs. The plant itself is relatively small, rarely growing past five feet in height. The leaves and stems in some of the subspecies have long stinging hairs that inject an array of chemicals when touched, including histamine, formic acid, serotonin, and acetylcholine. This produces an irritating, uncomfortable sensation in the skin, which is why some of the other common names for stinging nettle are burn weed and burn nettle. If people realized how useful and healing this plant is, the only cultivated plant would be nettle. All parts of the nettle – the stem, leaf, root and flower have medicinal properties. Strengthens the immune system – Stinging nettle is an excellent blood purifier, stimulates the disposal of harmful substances from the body and strengthens the immune system. Reduces Allergy Symptoms – Nettle’s aerial parts may reduce the amount of histamine that is produced by the body in response to an allergen. An allergen is a substance such as pollen that may provoke an exaggerated immune response in individuals who are sensitive to it. Through this potential action, the aerial parts of the herb may help to reduce allergy symptoms. Results from one human study are promising, but more research is needed to be conclusive. Detoxifies the Body – The wide range of beneficial nutrients found in stinging nettle make it an ideal detoxifier for the body and it has been known to gently cleanse the body of toxins. As a diuretic substance, it can also ensure that those toxins being neutralized in the body are then eliminated quickly. Stinging nettle is also known as an alterative, meaning that it can improve the nutrient uptake efficiency of the gut and ensure that the digestive processes run smoothly, thereby preventing the accumulation of dangerous toxins. It also stimulates the lymphatic system, helping to rid the body of excess toxins in the kidneys as well. Improves Circulation – The combination of high vitamin C and iron content in stinging nettle makes it ideal for stimulating red blood cell production. Vitamin C optimizes iron uptake in the gut, while iron is a crucial component of hemoglobin. By increasing the RBC count in the body, circulation increases, wound healing speeds up, and the body’s extremities receive essential oxygenation to boost energy levels. For the same reason, stinging nettle is often recommended to relieve fatigue, which is characterized by general muscle weakness, exhaustion, cognitive difficulties, and headaches. Fights Anemia – It contains a lot of iron and it is used in a state of anemia to increase the number of the red blood cells in the blood. After a short time of consuming nettles or their tea you will feel full of energy and health. Improves Heart Health – It only makes sense that this amazing cure-all herb would also be able to positively affect the heart. 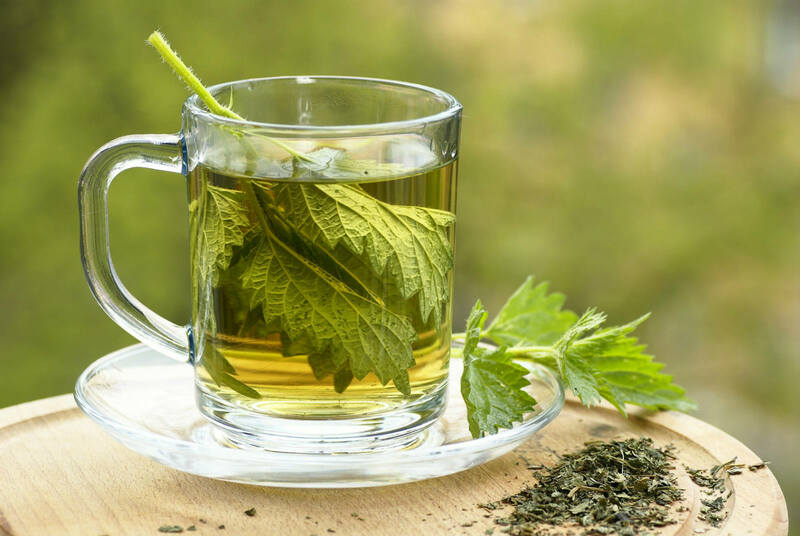 Research has revealed that regular consumption of stinging nettle tea can help lower systolic blood pressure and relieve tension and stress on the cardiovascular system. Nettle tea is used for treating diseases of the gall bladder and the liver, and for sleeping disorders, cancer of the spleen and abdominal cancer, stomach cramps, ulcers, diseases of the lungs, hair loss, joint pain, rheumatism and fever. It is beneficial both for viral and bacterial infections. Also this tea is a powerful diuretic. If you have a lower level of iron in the blood, and you feel tired and useless, your body needs nettle! I love nettle! It’s like a multipurpose tonic! Thanks for this information! Hello , where can i find Nettle in South Africa , North West Province?